Today, I heard Prof. Nicola Spaldin of Materials Department, University of California, Santa Barbara on Progress and prospects in multiferroics. I learnt quite a few concepts and ideas today; here is the summary based on my notes. As usual, if I owe the clarity of ideas and presentation to Prof. Spaldin, any mistakes you may find are most probably mine. Multiferroic materials are, as this wiki page notes, materials with two or more ferroic properties, namely, ferromagnetic, ferroelectric, and ferroelastic properties. Prof. Spaldin began the talk by noting that her interest in multiferroic materials that are ferromagnetic and ferroelectric at the same time is just one example of a more general class of materials known under the general rubric of contra-indicated multifunctional materials. What is contra-indication? Consider a material which is transparent — this optical property is an indication that there is a band gap in the electronic structure of the material. On the other hand, in electrically conducting materials, there is an overlap of the valence and conduction bands (and, hence, no band gap). Thus, transparent conductors are by definition contra-indicated; thus, contra-indicated materials are those with pairs of functionalities that can a priori be expected not to exist together in a given material. So, why is a multiferroic material that is both ferromagnetic and ferroelectric contra-indicated? Apparently, the contra-indication is chemical — magnetism (more specifically, in perovskites with transition metal ions) is dependent on localized transition metal d-electrons, while, atoms with such localised d-electrons don’t off-center in their crystal structure to form ferroelectrics. Thus, the requirement of filled d-orbitals for magnetism (apparently, also known as Stoner instability in the physics literature — I do not know exactly what that is — I might do a post about it sometime in future), is not compatible with the second-order Jahn-Teller effect which requires empty d-orbitals for ferroelectricity — since, apparently, in the Perovskite structure, the electron transfer is from the p-electrons of Oxygen to the empty d-orbitals of the cation when it shifts away from the centre of the unit cell — I understand that the technical name for such an electron transfer in the chemical literature is ligand field stabilization. So, what is the way out? There seem to be several options. Prof. Spaldin concentrated on one strategy: since in a typical perovskite structure, there are two metal ions, leaving the metal atom in the centre of the Oxygen octahedron untouched (so that the material can still be ferroelectric via the usual mechanism), by aligning the spins of the electrons in the other metal atom, a material can be tricked to be both ferroelectric and ferromagnetic at the same time. Using some approximate first principal density functional calculations, apparently, it has been calculated that BiMnO3, (since the Bi3+ are “stereochemically active lone pairs” as in Ammonia, which gives the non-planar shape to the molecule), may be expected to be ferroelectric (while Mn will give rise to ferromagnetism). However, thin films of this material were reported to be both ferromagnetic and ferroelectric, albeit with a very weak polarization (as if the material is not ferroelectric, but anti-ferroelectric). As an aside, later full-blown first principle calculations have shown that the material will indeed be perfect anti-ferroelectric with zero polarization (Moral of the story: sometimes it pays to do approximate calculations). Prof. Spaldin speculated that the experimental observation of weak polarization (while the theory predicts the material to have zero polarization) could be due either to epitaxial strains or defects; however, the issue is still open. Another attempt at theoretical calculation, with the same strategy in mind, on BiFeO3, resulted in very strong ferroelectricity (so much so that they might be the next generation ferroelectric materials); however, the material is antiferromagnetic. Thus, the result of the usage of this strategy seems to be a tendency for ferro+anti-ferro combination, and not ferro+ferro combination. Prof Spaldin also spoke about the attempts to couple magnetic and electric fields using magnetoelectric tensors in (a) polar materials that are magnetic, and (b) heterostructures of SrRuO3/SrTiO3. As can be seen, multiferroics seems to be a field full of challenging and interesting problems, where theory and experiments drive each other (which was one of the undercurrents in Prof. Spaldin’s talk — the need for good theoretical calculations, and the importance of understanding the nuances associated with the theoretical methods and approximations so that the reliability of a given prediction can be assessed). For those of you who are interested in learning more about this area, I can do no better than to refer to Prof. Spaldin’s publications page (which refers to several nice review articles). I have also listed and linked some of the papers that Prof. Spaldin referred to in her talk. 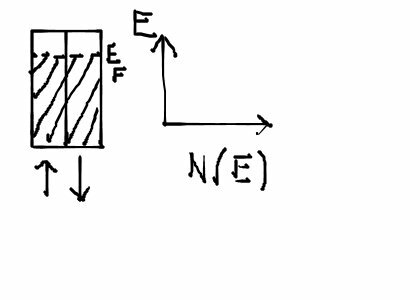 The renaissance of magnetoelectric multiferroics, Nicola A Spaldin and Manfred Fiebig, Science 15, July 2005, Vol. 309, No. 5733, pp. 391-392. 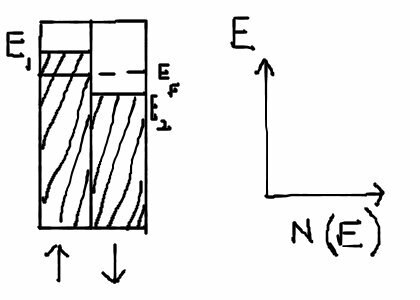 First principles investigation of ferromagnetism and ferroelectricity in bismuth manganite, Nicola A Hill and Karin M Rabe, Phys Rev B 59, 1999, pp. 8759-8769. Epitaxial growth and properties of metastable BiMnO3 thin films, A F Moreira dos Santos et al, Applied Physics Letters, January 5, 2004, Vol. 84, Issue 1, pp. 91-93. Evidence for the likely occurrence of magnetoferroelectricity in the simple perovskite, BiMnO3, A Moreira dos Santos et al, Solid State Communications, Vol. 122, Issues 1-2, April 2002, pp. 49-52. Anti-polarity in ideal BiMnO3, Pio Baettig, Ram Seshadri, and Nicola A Spaldin, J Amer Chem Soc, Vol. 129 (32), 2007, pp. 9854-9855. Epitaxial BiFeO3 multiferroic thin film heterostructures, J Wang et al, Science 14 March 2003, Vol. 299, No. 5613, pp. 1719-1722. 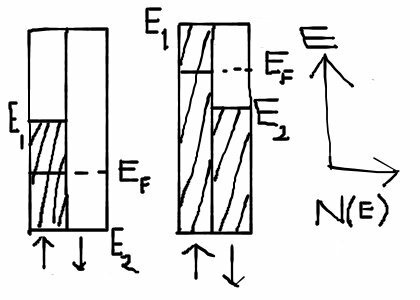 Weak ferromagnetism and magnetoelectric coupling in bismuth ferrite, Claude Ederer and Nicola A Spaldin, Phys Rev B, 71, 060401 (R), 2005, 4 pages. Magnetic control of ferroelectric polarization, Kimura et al, Nature, 426, 6 November 2003, pp. 55-58. Revival of the magnetoelectric effect (Topical Review), Manfred Fiebig, 2005, J Phys D: Appl Phys, 38, R123-R152.